With the flight tracker you can check at any time who is where and when in the air. You can follow every airplane in real time via aerial radar, and it`s not only the current location you get, but also more interesting details like: airplane type, altitude, speed etc. On the other hand, the flight tracker is simply fun, because you are there live. What does the flight tracking offer? The flight radar gives you an overview about almost every airplane movements that are on your way to the most diffrent destinations. You almost feel like being in the air by yourself. The tool gives you an overview and an insight into the world above you. You get facts, which not only inspire airplane fans. You will get further interesting and revealing details, which will be hidden from you. You can get all information about the airplane with the free flightradar. So you know exactly the position of the airplane in the air and you get informations about the characteristics of the aircraft type. It will show you the speed of the aircraft, the current altitude and the already traveled kilometers. The flighttracker gives an insight over everything that is going on above you and also will inform whether it is a scheduled flight or a private plane. The flight radar shows you all flight movements. This makes it possible for you to see everything from the small planes, helicopters to the big jets, who are currently in the air. Flighttracking is fun and you get wonderful and informative informations. It doesn`t cost anything and is definitely free. You can do it without expensive programs, if you want to track an airplane. You save money and you do not have to install any programs. You are interested in a particular flight? Just zoom in to an airport. Ideal are big airports like the Los Angeles International Airport “LAX“, the Hartsfield-Jackson Atlanta International Airport “ATL“ or the London Heathrow Airport "LHR" where airplanes start in minute cycle. If you want to track a airplane, our website is perfect. With a smartphone, passionated fans can follow every airplane. It not only offers interesting insights, but also shows the exact flight times. This is by the way very practically if you want to pick up someone at a specific time from the airport. You can see all current airplanes on Flightradar24. Drone flying is more popular than ever before. The flight radar is a good way to find out if there are aircraft movements in your area. Everyone would like to have a UAS (unnamed aircraft systems – aka Drone) to make some pictures, videos or just fly for fun. To fly a UAS you have to obey some serious rules. Make sure you know the legal requirements in your country, if you don`t want to get in trouble with the local police. The Rules are a bit different in every country. 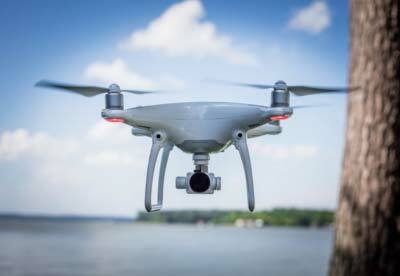 The Federal Aviation Administration (FAA) set some rules to fly a Drone. If someone is flying for work or business the pilot has to be at least 16 years old. They need to pass the FAA test to get their license. If you just fly for fun, you don´t have to pass the FAA test, you just have to follow some general rules. For more information’s please visit the official website of the FAA or get in contact with your local aircraft club.